Great cards!!! Love your "go to" colors so much. And butterflies are my daughters fav so u have given me so good ideas. Thank you. U are indeed one talented lady. 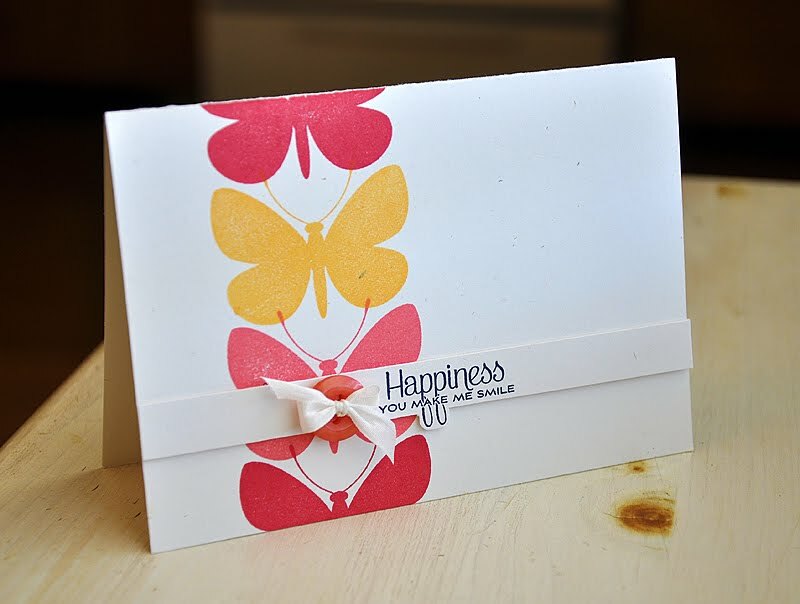 evette k.
Lovely one layer butterfly goodness, Maile!! Hope I'll be able to get everything on my list for this release!! 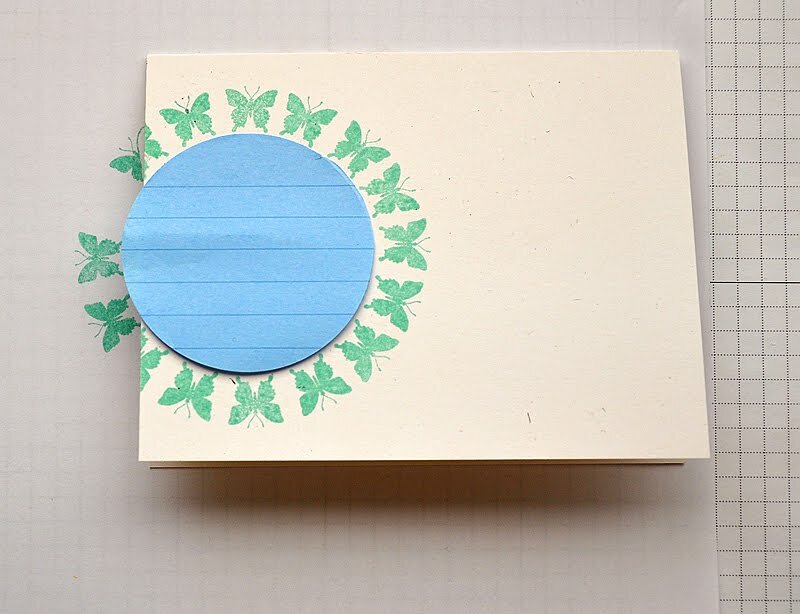 Loving the circle butterflies, was wondering how you managed to get them in a perfect circle, will be having a go at this technique! Gorgeous cards! Love the colors and the techniques. Love how made your butterfly circles! They are beautiful!! Stop-in-your-tracks gorgeous. Both of them. And such great colors! It always makes me so happy to see cards from you. how inventive! 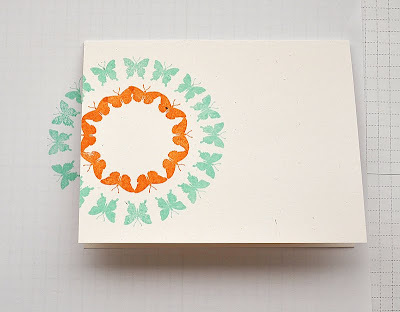 love the circle of butterflies! I'm loving the colours on your first gorgeous card too - makes me wish summer would come sooner rather than later! Another days worth of fabulous projects Maile! Love your creativity in using this set! This stamp set is a must have for me, I can't wait to get it. 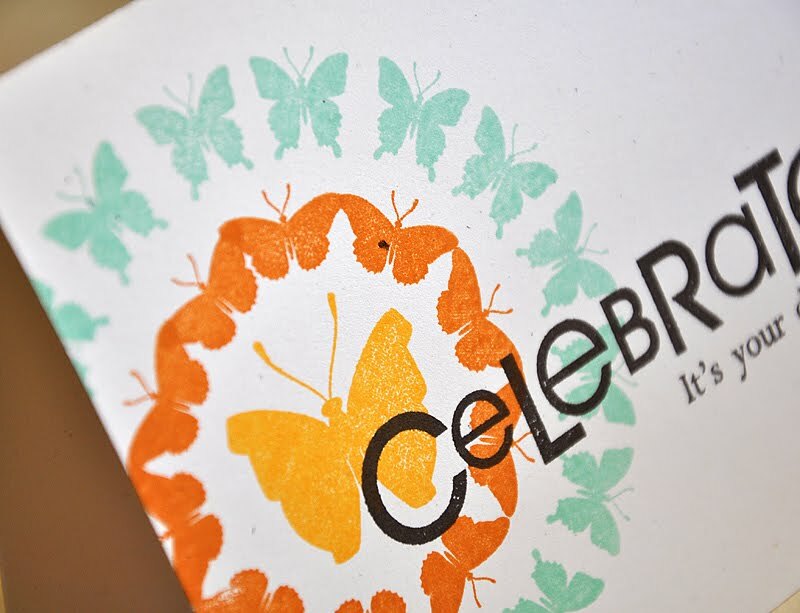 Not only are the butterflies beautiful but the sentiments and font are a perfect match with the images. Wow! Maile, your cards are so beautiful! 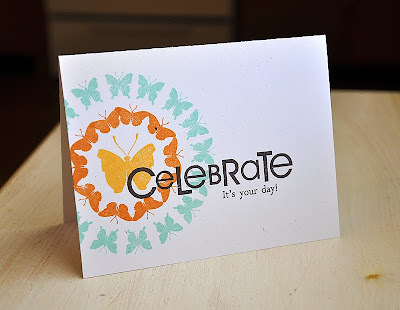 I especially love the butterflies stamped in circles! Your colors are so bright and happy! I love those butterflies and they will surely be coming to live with me!!! Gorgeous is right! Thanks for the tutorial too! Fresh ideas!! Thanks for sharing!! Butterflies are beautiful! Great cards! Simply beautiful cards! Love the butterflies--a favorite design element I like to use, too. 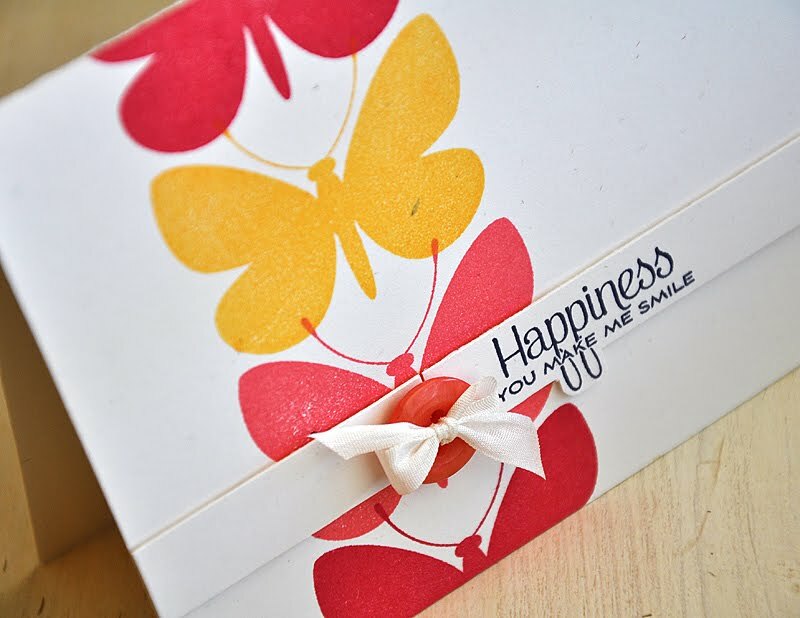 You have made just amazing card. I especially like the butterflies stamped in circles. You select colours and material very efficiently. In this card using a single image from Beautiful Butterflies are really too good. It is easy to make. I will try to making.